Challenge 017 was an email receipt. Challenge 016 was a Pop-Up/Overlay. I did a little animated one. Challenge 015 was on-off switches. I used some big iOS switches for network settings. Daily UI 014 was a countdown clock, so I made this cutesy Christmas countdown! Challenge 013 was Direct Messaging. I didn’t really branch out from existing design patterns here. Challenge 012 was an E-commerce shop (single item). I did slippers. Challenge 011 was a Flash Message (Error/Success). I did messages related to photo uploading. Challenge 009 was a music player. 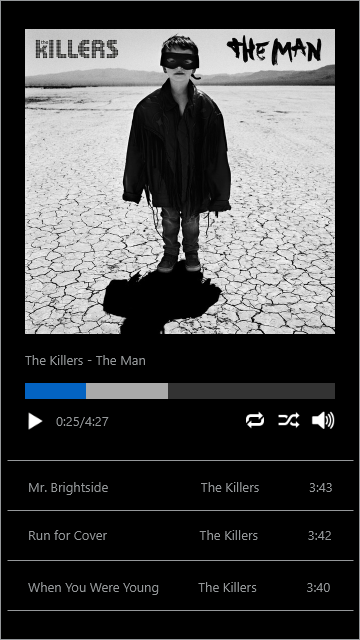 I was super enjoying the new Killers song at the time so it features prominently! Challenge 008 was a 404 page. 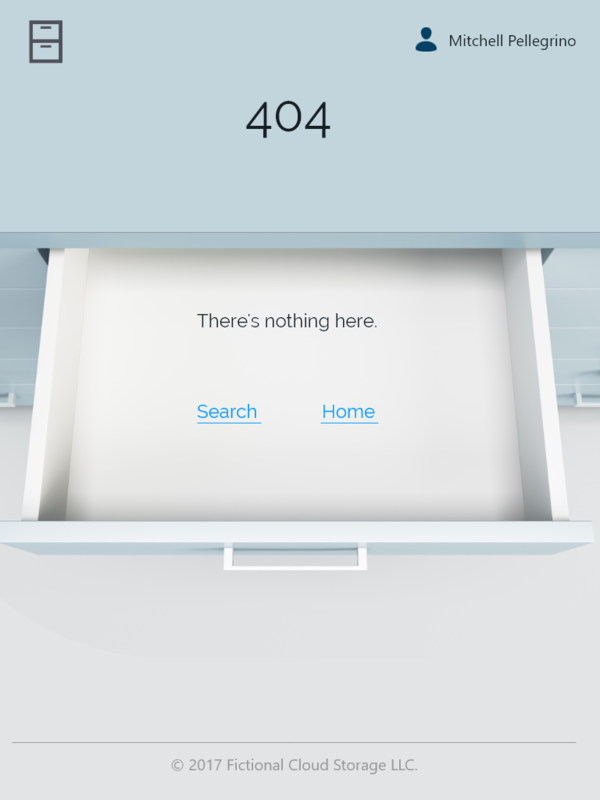 I made one for a fictional cloud file storage site. Tried out the iPad sizing in XD.